Heartbeat is Yorkshire Television's long running series, set in the 60s about the village of Aidensfield in the Yorkshire Moors. Over the time it has been running some faces have come and gone, but some regulars such as Phil Bellamy, Oscar Blaketon, and Alf Ventress have stayed the course. These will be familiar to those of you watching the last series. Some new faces include Rosie Cartwright played by Venessa Hehir and Dr Helen Walker (formerly Trent) played by Sophie Ward. 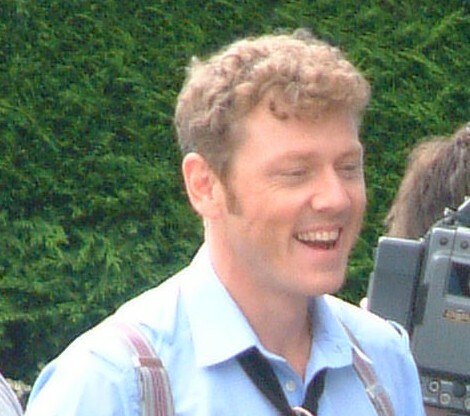 Mark Jordan, who plays Phil Bellamy, has been in Heartbeat from the beginning. He has played several policeman in the past including PC Betts in Coronation Street and PC Hicks in All Creatures Great and Small. He nearly joined the police force himself, but admits to failing the exam on purpose - he only applied to please his mum! Phil Bellamy is always good for a laugh, but will never make anything other than a constable. In Heartbeat he has been unlucky in love. He nearly married Gina Ward (Tricia Penrose) and when he finally did tie the knot, it turned out his wife, Debbie, was already married to someone who was supposed to be dead. 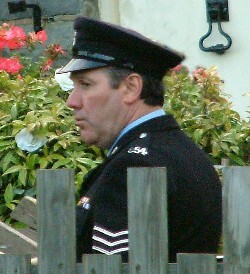 Oscar Blacketon was originally the Sergeant at the Police Station in Ashfordly. He was known as a stickler for the rules. His old sparing partner in those days was Claude Greengrass (Bill Maynard). Oscar later retired and bought the Post-Office. After a few years some financial good fortune allowed him to buy the pub, the Aidensfield Arms, which he now runs with Gina Ward (Trisha Penrose). 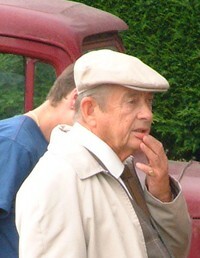 Derek Fowlds has had many acting roles including playing Bernard in "Yes, Minister". Those of you with long memories may recall his appearances with Basil Brush in the 70s. Another old hand, Alf Ventress, has been in the series since the beginning. He served under Oscar Blaketon as a constable. Now retired, he works as a civilian in the Police Station and occasionally does a bit of private detective work with Oscar. William Simons, who plays Alf Ventress, has played several policemen in his time, including roles in Bergerac and Inspector Alleyn. Rob Walker (left) is the Aidensfield village bobby. He is the most serious copper of the three constables. Keen for promotion, he often makes Sgt Miller look slow. Jonathan Kerrigan was formerly gay nurse, Sam Colloby, in Casualty. 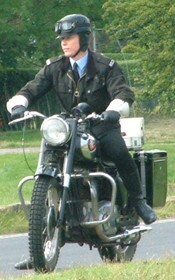 He has played a policeman before as he was PC Steve Traynor in Merseybeat. He has also starred in Reach for the Moon, which was filmed on the Isle of Wight, as well as Catherine Cookson's A Dinner of Herbs and the customs' drama, The Knock. John Duttine (right) who plays Sergeant Miller was a school teacher in To Serve Them All My Days. In Heartbeat he is just as strict with the PCs Bellamy, Walker and Younger. PC Younger is the youngest of the bunch. As the junior he gets all the worst jobs around the station. It seems that Helen Trent has become the latest doctor to fall victim to the "Aidensfield Curse". The next one will be asking for danger money! Helen had a romantic encounter with Rob Walker. She finally married him in the last series, but don't expect to see her in the next! Sophie is the daughter of the actor, Simon Ward, who actually appeared as her estranged father in the last series. 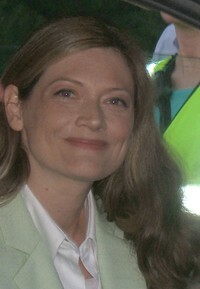 For more on Sophie Ward see www.sophieward.com, the official Sophie Ward website. The long-suffering Bernie Scripps is played by Peter Benson. He is another Heartbeat regular and he runs the Aidensfield Garage and the funeral service. He has often been unwillingly co-opted to help first Claude Greengrass (Bill Maynard), then half brother Vernon Scripps (Geoffrey Hughes) and finally Peggy Armstrong (Gwen Taylor) with disastrous money-making schemes. Peter Benson has played undertakers before and admits he has the face for it! You might remember him in Loot, The Enigma Files and Oliver. Rosie Cartwright helps Bernie out at Aidensfield Garage. 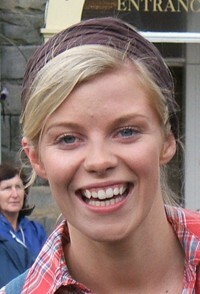 Vanessa Hehir also played Nicola Jay in BBC3's Grease Monkeys. Nicola Jay also worked in a garage, but not as a mechanic. David Stockwell (left) is good natured, but naive and often gullible. He helps out Bernie and often also gets involved in the hair-brained schemes of his Aunt, Peggy Armstrong. He has a good heart, but usually gets the wrong end of the stick. 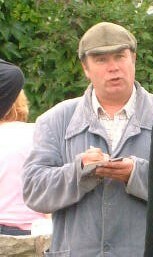 David Lonsdale, who plays David Stockwell, played Peter Barlow, Ken Barlow's son in Coronation Street. He also appeared as a repossession man in The Full Monty and at the age of 14 had a part in Brideshead Revisited. When David turned up for the first episode, fellow cast members asked him if he was playing the idiot! Peggy, who is David Stockwell's Aunt, turned up when Vernon Scripps staged a Reggie Perrin style disappearing act. She is the new lovable rogue in the vein of Claude Greengrass. You might remember Gwen Taylor as Amy Pearce in Duty Free, and as Barbara Liversidge in Barbara. She is no stranger to police dramas having been in episodes of The Sweeney and Z Cars. Gina helps run the Aidensfield Arms with Oscar Blaketon. She has been in Heartbeat for some time now. Still unmarried, she nearly got hitched to Phil Bellamy, but decided against it at the last minute. She certainly looks the part in the series wearing the latest 60s fashions including mini skirts and some rather individual earrings.